India Meteorological Department (IMD) predicts well-distributed rains crosswise India, which will help to lift up the Indian agrarian economy. Upholding to the rain forecasts made by private weather forecasters, India’s official weather forecasting agency, the India Meteorological Department (IMD)has confirmed that the monsoon season this year is likely to provide with ‘above normal’ rainfall and showers are expected to be around 106 pc of the average 89 cm. According to IMD, there will be nearly 106 pc of normal rainfall in July and 104 pc in August, which is good news for monsoon crops like rice, coarse grains, soya bean, pulses and cotton. 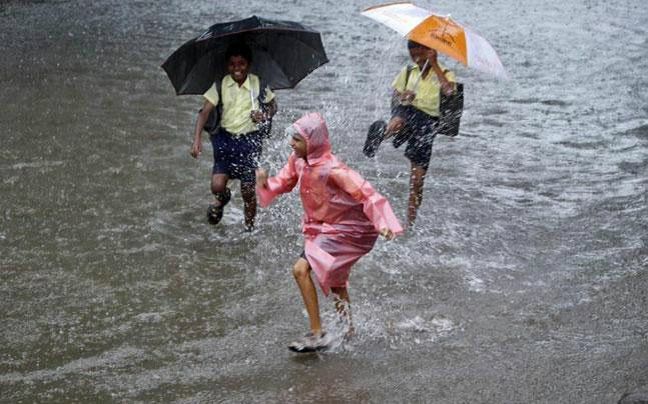 As per IMD, monsoon rains within 96 pc and 104 pc of this average are considered normal. “The monsoon will be fairly well distributed but southeast India will get slightly less rain,” IMD Director General, Laxman Rathore said. IMD projected that there will be 108 pc rainfall in the northwest region, 113 pc in central and peninsular India and 94 pc of the 50-year average in the northeast region. “After it hits Kerala, the pace of progression of monsoon will be speedy. The second half of June is expected to receive more rainfall than the first half, and due to a La Nina situation, more rains are likely during September,” added Rathore. Ample amount of rainfall will help to restore severely depleted reservoirs in various parts of the country and IMD’s forecast came as a big relief to both farmers and the government, as not only will it improve the monsoon sowing operations but also the drinking water problems prevailing in India. With an ideal monsoon forecast, the government desires to fulfill the target of producing 270.1 million tonnes of food grains in the crop year beginning June. The government’s target for 2016-17 is 7 pc higher than the 252.23 million tonnes of production estimated for 2015-16. The El Nino meteorological phenomenon is associated with the warming of waters of Central Pacific and correlated with droughts in India. According to the historical observations, 7 out of 10 years, in the last century, that followed an El Nino saw normal or above normal monsoon rains in India. Though Pacific temperatures haven’t cooled enough, El Nino neutral conditions are expected to set in between June and July. According to IMD, another meteorological phenomenon known as the positive Indian Ocean Dipole is expected to form during the middle of the monsoon season. During this process, the western portions of the Indian Ocean are warmer than the east that pushes rain-bearing clouds over India.